Acne can come in many forms, some mild and some severe, with breakouts that can damage more than your appearance. But even if you don’t have a serious form of acne but just a few pimples, you might feel like your confidence is struggling to survive in a world that is focused on perfection. We all want a smooth and healthy skin, especially on the face, and we want to get rid of pimples as soon as we notice them. 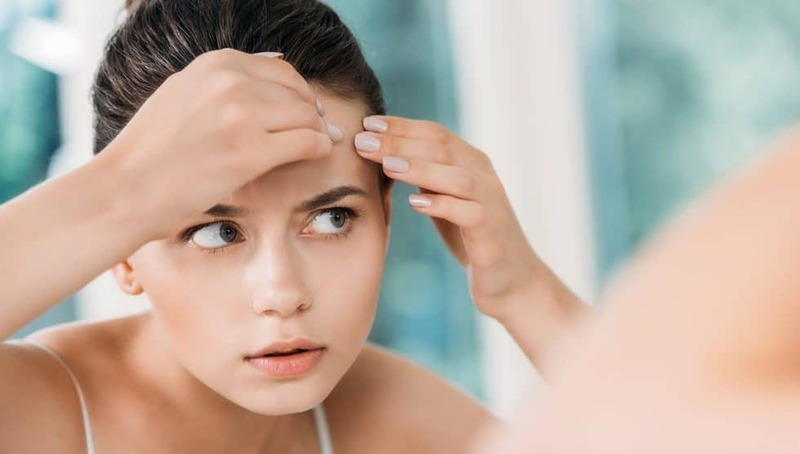 While the market offers a variety of products to try out, there are still some ways to dry out a pimple that you can apply with minimum investment. Here’s everything you need to know when you want to dry out a pimple (or more) in the fastest way possible. One of the classic methods that you can use when you need to dry out a pimple, is applying toothpaste on it. First of all, it is important to know that applying toothpaste as an acne remedy, shouldn’t be your first choice when you are dealing with such a problem. – Use only white toothpaste. The reason for this is based on the ingredients that can be found in different toothpastes on the market. The white part of it contains hydrogen peroxide, baking soda and triclosan, all of which are helping dry out pimples. The coloured parts of a toothpaste contain chemicals and dye that will rather give you a skin rush and irritation which is why you need to avoid them. – Don’t use toothpaste intended to whiten your teeth. These types of toothpaste have ingredients such as bleach, which are useful to give you a whiter shade on your teeth but can seriously damage or even burn your skin. – Only apply toothpaste on clean skin. It is crucial to wash your face before you use toothpaste to treat your pimples. Make sure there is no dirt left on the surface of your skin by cleaning your face with warm water and a cleanser that compliments your skin. At the end, tap your face with a clean towel. – Add a little toothpaste quantity on your index finger. The same quantity should be used for every pimple you want to dry out. – By using your index finger, apply the toothpaste on top of your pimple. Be careful to cover only the surface of the pimple and avoid the rest of your skin. This is very important because toothpaste will dry your skin and even create irritation so it shouldn’t be used on the entire surface of your skin. – The toothpaste should be left on your pimple for up to several hours. Even if this is a fast way to dry out pimples, it still takes minimum two hours to have an effect. However, if your skin is sensitive or if you notice any burning side effects, it is advised to wash it after 15 minutes or half an hour. – Wash your face gently. Use a wet towel to remove the toothpaste at first and wash your entire face with warm water after the toothpaste was removed. – Apply a moisturiser after the entire process is done. This will prevent your skin from getting dry or irritated. As there are many ways to dry out a pimple, most of them take more than several hours to take effect. But what if you need to get this process done in just one hour? This is not as impossible as it might seem. – Use egg white to get rid of pimples in just one hour. All you have to do is separate the egg white from the yolk and apply it like a mask on your clean skin. Your face will get its natural glow back and you will also get rid of dead cells. – Create a miracle homemade mask. Another one hour remedy to use when you need to dry out pimples is a mask made of oatmeal mixed with honey. Apply this mask on your face and allow it to take action for one hour before you wash it off. This doesn’t just dry out pimples but it is also a great scrub for your skin. – Use a banana peel. Get the inside of a banana peel and mix it with flour and warm water. Apply the paste you obtain on your skin and give it one hour to dry. Wash it off and enjoy a smooth and healthy skin with no pimples. Popping a pimple is only half of the process that involves getting rid of it. Once you popped your pimple out, you need to take extra care of your skin to avoid side effects. To begin with, you probably know that you shouldn’t pop pimples at home and you should try to treat them in a professional way. 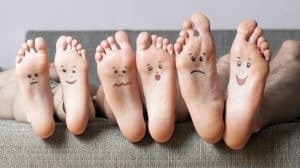 But if you couldn’t help yourself, let’ see how you can minimise the unpleasant side effects that appear after popping a pimple such as red and sore spots. The main thing you need to do right after you popped a pimple is cleaning the spot. You can use your regular face cleanser and you can go ahead and clean your entire face while you are at it. Make sure that there is no dirt or bacteria around it and you limit the risk for infection as much as you can. Once your face is clean, you can apply some ice on your popped pimple, especially if the skin area got swollen. You shoul wrap the ice cube into a soft towel before applying it on your skin. Also, you can do this for several minutes at a time, more times during a day, as much as you consider to be necessary to diminish the redness and swelling. 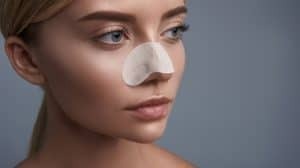 Now that your popped pimple is taken care off as far as cleaning and swelling goes, you need to treat it like a wound, even if it is a lot smaller. Basically, a popped pimple leaves part of your skin injured and damaged which is why extra attention is required. The best treatment for a popped pimple is an ointment or cream based on an antibiotic. You can easily find such products over the counter and they are not expensive at all. Apply a little quantity of antibiotic just on the popped pimple. This will keep infections away and it will help to dry the area enough to get a scab on it. Once you got a scab on your popped pimple, you should leave it alone. And this is easier said than done as you might be tempted to pick at it. But stay away from such thoughts because you will only bring more damage to your skin. While there is a scab on your pimple, you can be sure that the area is healing underneath it. But if you break it off, the healing process will have to start again from step one. But you can continue to apply the antibacterial treatment over the scab as it has antibacterial effects as well. By following these steps and tips, your popped pimple should dry out and heal completely in just a matter of days. Ad there will be no side effects to deal with on the long run. As annoying as pimples might be, you can get rid of them by drying them in a natural way. If you don’t want to use a lot of commercial products, the good news is that you might not have to. Here’s a few of the natural remedies that will proof to be efficient for drying out pimples and even getting rid of acne all together. This might come as a surprise for many but tea tree oil is good for eliminating pimples as well, among many other benefits it has. The main benefits of this product are the antibacterial effects and the efficiency with which it reduces skin inflammation. Because tea tree oil can however, cause certain irritation when applied on the skin, you should apply it directly on the pimple. 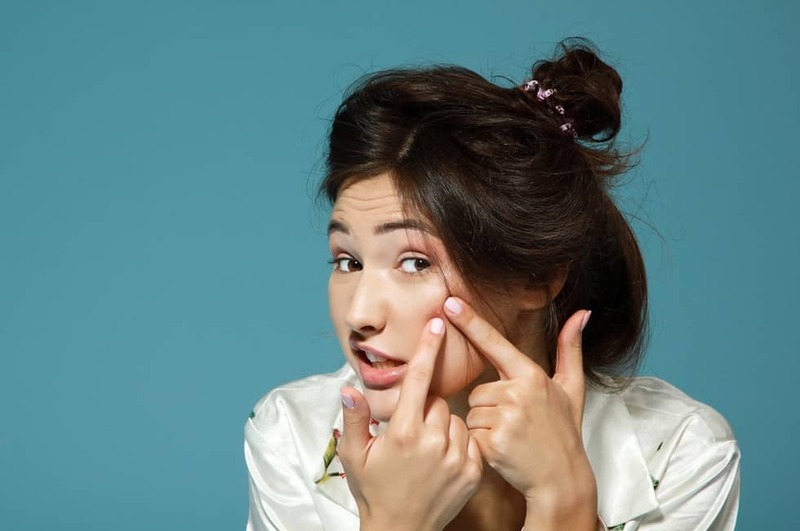 If you do that, your pimples will dry out fast and without any side effects. Aloe vera is considered a miraculous plant for many people and there is no wonder for it considering the benefits it can bring to your skin. The best way to use aloe vera extract is when you want to dry out popped pimples. It reduces inflammation and eliminates bacteria in a very efficient way. This plant is used as a treatment for different wounds, which is also the case of recently popped pimples. You can use it for different cuts as well as many severe forms of skin conditions such as psoriasis. Aloe vera oils and gels are also used to prevent acne and pimples so you can start such a treatment even when you don’t have a breakout. Dead Sea salt gives great results in a short time when it comes to drying out pimples and getting rid of acne. It doesn’t just kill bacteria and dries out pimples soon after you apply it on your face but it is also known for establishing the natural pH level of your skin. Because Dead sea salt dries out unnecessary oils from your skin, your pimples will not just disappear very fast but they will also be prevented. Lemons are great for more than just making a good lemonade on a hot summer afternoon. You can use their juice to dry out your pimples in a natural and effective way. And the result is almost instant. This natural astringent will exfoliate your dead cells and dry out your skin locally, on the area where you apply it. You should use it only on the area of your skin that is affected by acne because it does shrink it quite fast and you might not need this for all your face. You can use the juice from the lemon plain or dilute it with a little water if you consider it to be too strong. It all depends on the type of skin that you have. Nowadays, the market is stuffed with a wide variety of cometic products that you can use to get rid of acne and isolated pimples. However, the best way to treat them remains the natural way. Try to find products based as much as possible on natural and organic ingredients. And if you want to be a hundred percent sure that you are not adding unnecessary chemicals on your skin, use the home remedies listed in this guide. If you do it regularly and you make sure to have an impeccable skin hygiene, the results will be as stunning as you anticipate them. An important aspect when you use natural remedies to dry out and eliminate your pimple is to not over do it. And exaggerating can be fairly simple as you will want to fix your skin condition as soon as possible. Find out what works best for your skin and stick with it in order to get a long lasting result and prevent future skin conditions. And be patient because if you have a chronic case of acne, it will be hard to fix it in a few hours or even a few days!